It’s now “Grammy winner Carrie Fisher” to you. During a pre-ceremony on Sunday night, Fisher received a posthumous Grammy for Best Spoken Word Album for her memoir The Princess Diarist, beating out the likes of Bruce Springsteen; Bernie Sanders and Mark Ruffalo; Neil deGrasse Tyson; and Shelly Peiken. 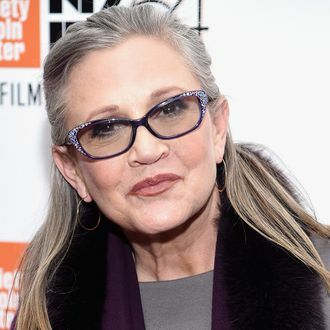 It’s Fisher’s first-ever Grammy and second nomination in the category, now becoming her highest accolade, fittingly for a compilation of diary entries written while filming the first Star Wars film. (She’d previously been nominated for three Emmys.) Fisher died in December 2016 days after suffering a heart attack.